You might have read some news around Amazon and the video business in the last weeks: Prime Video on Deutsche Telekom’s Entertain, extension of FireTV with a HDD, just to mention some. 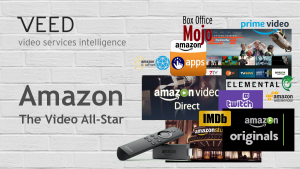 So we thought it is worth putting the Amazon video ecosystem into perspective: You can download our latest veed beat (formerly known as snapshot) here. Happy reading and happy to discuss the impact of Amazon for the video industry!